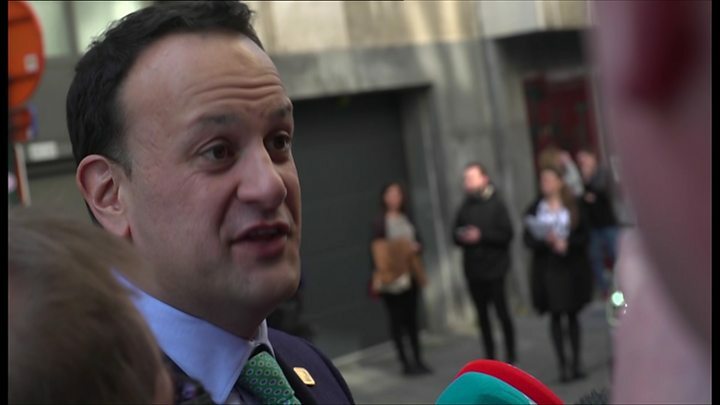 However, the Taoiseach suggested the EU would be able to develop a 'sui generis' (unique) arrangement for the UK, and said the proposal for the UK to stay in a customs union with the EU after Brexit has "real merit". "I believe as the EU having the UK in a customs union means we could get the best deals for all of us," he said. "If the UK were to decide to stay in a customs union, we would be able to develop something 'sui generis' so that they would have a say around things in terms of future trade deals, and a level playing field around labour rights and environmental rights." Leaders are due to discuss the UK's request for another extension, to avoid a no-deal Brexit on Friday. Mr Varadkar also said he did not want the EU to grant an extension "that goes on forever and causes the impasse to continue". Countries in a customs union agree not to impose charges - known as tariffs - or custom checks on each other's goods. The rules also mean that any goods coming in from the rest of the world pay the same tariff - irrespective of where in the customs union those goods first enter. But under (the EU's) customs union rules, members cannot negotiate their own independent trade deals with countries from the rest of the world. He has declared Labour's position "an unprecedented legal and political novelty of the kind that is rightly called a unicorn".